LED's are currently experiencing an explosion of sorts with various cost savings, rebates, and phase outs occurring in the lighting market but one segment of the market is ideally suited for LED lights and that's industrial lighting. Beyond the cost savings aspect, there are other strong benefits to LED's in an industrial space pertaining to its color quality and brightness. Let's take a look at the benefits to industrial work sites. First, there's the little bit about power savings for an business that's inherently power intensive. Electricity drives most industrial spaces and since we usually cuts the power use for lighting between 50-90% depending on the types of existing lights, this is the primary push. The actual LED light bulbs are more expensive up front but industrial businesses are typically the recipient of extensive government rebates. These rebates are usually per lamp, per watt saved, and even based on square footage. The industrial business does not need to pick...you get all three if available in your State. These rebates can offset the initial light bulb purchase and installation by 50% or more. The wattage savings is extensive in spite of typically lower power costs from the utilities for industrial businesses. If you're replacing fluorescents, the wattage is typically half with LED's worst case. For other types of lighting based on incandescent, especially the super bright, high intensity spots required for work spaces, the savings are much greater as incandescent lights lose 90% of their energy in the form of heat. Fluorescents will also have ballast which draw power and fail with time. The actual LED bulbs lifetime is much longer than incandescent or fluorescent by a factor of 20 and 10 respectively. Not only does this save you on the cost of replacement bulbs, it will save on the labor costs to continuously replace failing bulbs. Replacement of bulbs tend to be more expensive in industrial spaces due to height of rooms and difficulty in access lighting. So we'll save money over a 5 year window with LED lights but there's another big benefit with LED lights...the quality of light. If you're using fluorescents, LED light color and quality is a much more true light. Fluorescents also change during the life of the bulb as they suffer a death by a thousand cycles. You'll notice the slow change to a purplish hue long before the actual bulb fails. We use bright white or daylight color tuning for industrial spaces and the first remark we get is how much better the light quality is and without all the associated heat of incandescents. Even with a much lower wattage bulb, we can generally provide brighter light to any industrial space with out the buzz, flicker, and slow-motion death of fluorescents or heat, yellowish quality of incandescents. Industrial spaces also receive the benefit of lower wattage LED bulbs in that they tend to be on more than other types of business. You have industrial spaces that at a minimum, are running 10 hours a day and sometimes 24/7. Heavy usage of lighting affects all the different facets of LED savings from wattage cost, bulb replacement, and labor costs. The fact that we can light an industrial space for cheaper is obviously the immediate draw to LED lighting the fact that we can light it BETTER seals the deal. 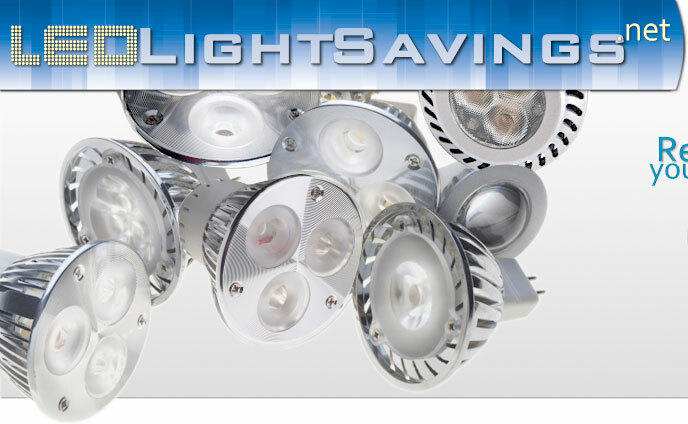 We're happy to run your LED light quote to see what type of savings might be available to you.